We are very much looking forward to bringing the wonder and education of hatching chicks to all of our customers old and new once again for 2019. Whether a Playgroup, Nursery, Primary School, Secondary School, Care Home or Nursing Home the benefits of our programme never cease to amaze. For the very young it can be simply the awe and wonder of watching a chick hatching from its egg right before their eyes as it snuggles down newly hatched in front of them; within an hour or two fluffs up, stands on its feet and cheeps contentedly. For older children it brings out many questions from simple ones like, ‘how long does it take for an egg to hatch?’, to questioning the genetic make up of today’s modern chickens compared to the original Jungle Fowl, still found in certain parts of the world. Growth charts can be plotted, study into chicken biology can be researched, hatching rates can be recorded, etc. 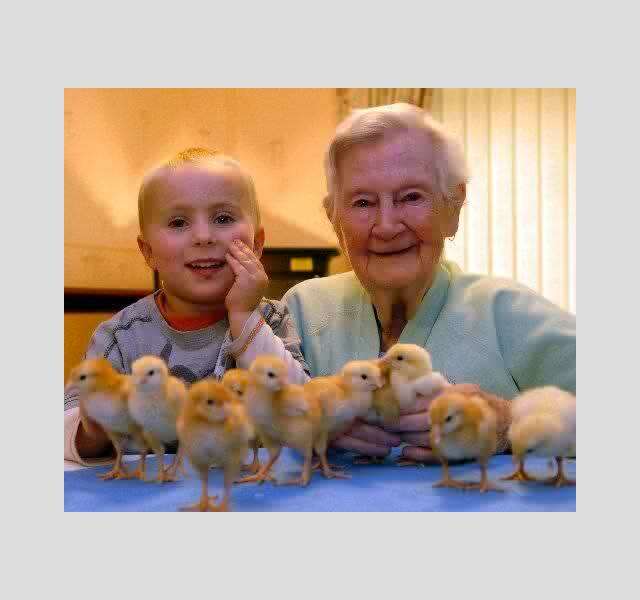 For the elderly we find they often reminisce about past times when they used to keep poultry and the many fascinating tales which accompanied them, including one memory we heard from a lady who had put her hatching eggs next to an Aga to continue incubating when a broody hen had abandoned them! There is so much to be gained from having our egg incubation programme in your setting; from which the joy, wonder and education from hatching chicks never ceases. If you would like to book one of our chick hatching programmes please do get in touch – Being a 12 day experience, it proves excellent value for money.